I missed Day of the Dead by quite a few days... 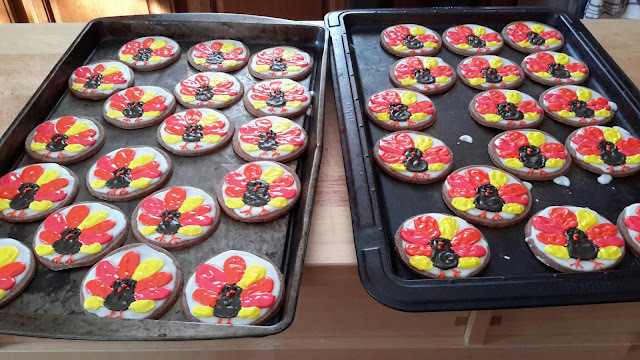 So instead of skulls I decided to make turkeys! I like the cookies having a little bit of a kick from the Chipotle, and if I were to make them again I would have added even more Chipotle. 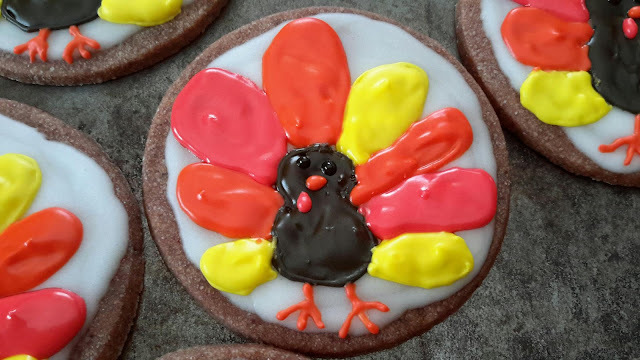 The royal icing was interesting to say the least. It took multiple hours to do the decorations on the cookies, so it's a good thing everybody liked them. The royal icing taste quite terrible when it is still wet but once it has dried it tastes like sugar so all is good.